You are here: Home : The Rose and Crown : News : Delicious new Specials Menu! Chicken liver pate is back by popular demand then choose from delicious Shepherd’s Pie, Salmon & Tiger Prawns en croute or Chilli con Veggie. 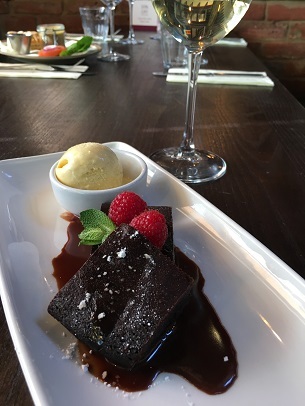 Don’t forget to finish off with our truly scrumptious homemade black treacle cocoa brownies oozing with Belgian chocolate sauce and vanilla ice cream. Book a table and see you soon!